Dota is a competitive game of action and strategy, played by millions of passionate fans worldwide. Dota is a competitive game of action and strategy, played both professionally and casually by millions of passionate fans worldwide. Players pick from a pool of over a hundred heroes, forming two teams of five players. The two teams compete to collectively destroy a large structure defended by the opposing team known as the "Ancient", whilst defending their own. 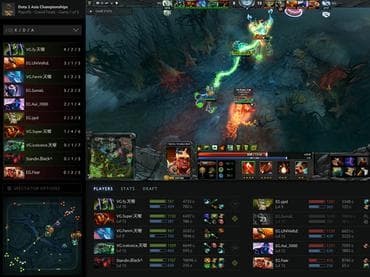 Если у Вас есть вопросы, связанные с игрой Dota 2 пожалуйста используйте эту форму для связи с нами.